Image source: Thanks to gatech.edu for all three images given here . They got such a clear image of them. The eggs hatch and the queen feeds the larvae for about 3 weeks. The larvae then pupate and emerge as adult female sterile workers. 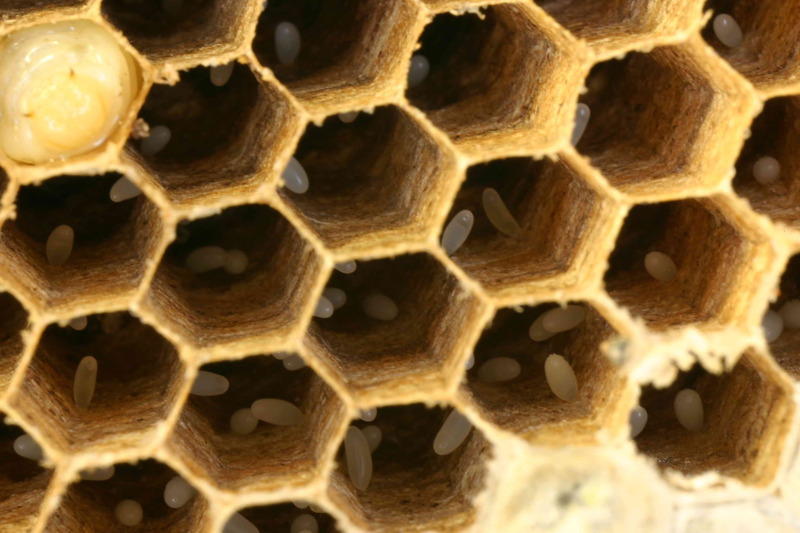 Once the workers emerge, they take care of the brood, feeding and defending the nest and also helping in expanding it to facilitate more cells for the queen to lay eggs. The queen hardly ventures out once the first batch of workers emerges. The colony keeps growing as workers readily feed the larvae and their queen with insects, nectar and other foods that are rich in protein. 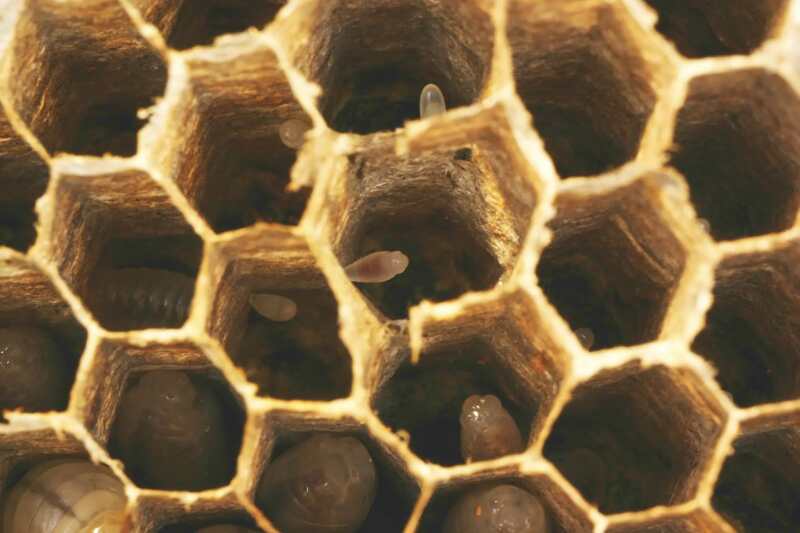 The colony is at its peak in the months of August and September when the queen lays the reproducing eggs. 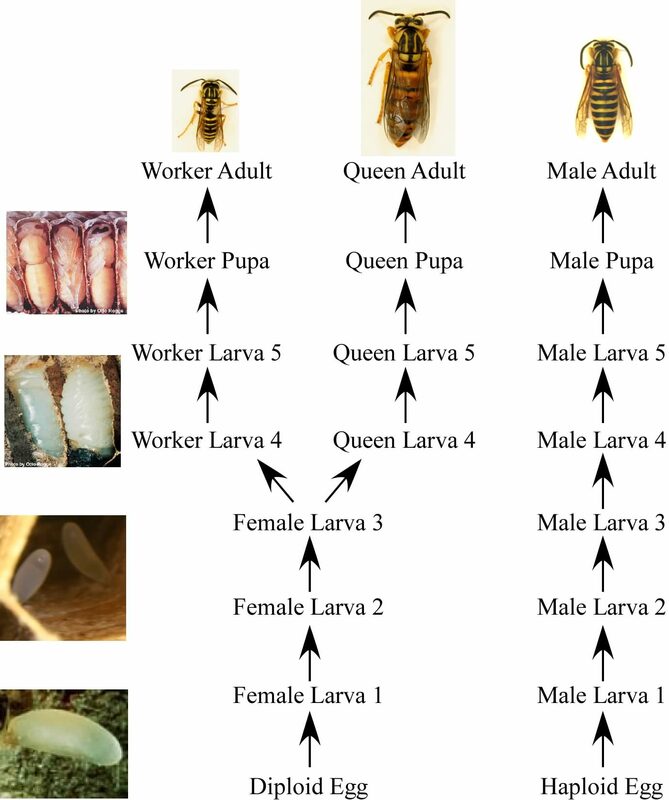 The eggs hatch and pupate to bring out young queens and males that mate. The males die soon after they mate and the inseminated queens take refuge in safe places to ensure that the reproduction cycle is carried on for the next year where they build independent nests and breed their young. The abandoned nests decompose and wither during the cold winter days. Some nests that stay put become homes for spiders and other insects that seek shelter from the cold. Come spring the Life cycle starts all over again. Yellow Jackets found in Ground ? What are they really Bees or Wasps?